George Frost Kennan (February 16, 1904 – March 17, 2005) was an American diplomat, political scientist, and historian, best known as "the father of containment" and was a key figure in the emergence of the Cold War. He later wrote standard histories of the relations between Russia and the Western powers. In the late 1940s, his writings inspired the Truman Doctrine and the U.S. foreign policy of "containing" the Soviet Union, thrusting him into a lifelong role as a leading authority on the Cold War. His "Long Telegram" from Moscow in 1946, and subsequent 1947 article, "The Sources of Soviet Conduct," argued that the Soviet regime was inherently expansionist and its influence had to be "contained" in areas of vital strategic importance to the United States. These texts quickly emerged as foundational documents of the Cold War, expressing the Truman administration's new policy toward the Soviet Union. Kennan also played a leading role in the development of definitive Cold War programs and institutions, most notably the Marshall Plan. 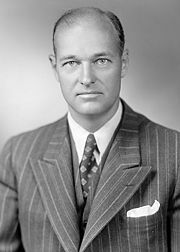 Shortly after the doctrine had been enshrined as official U.S. policy, Kennan began to criticize the policies that he had seemingly helped launch. By mid-1948, he was convinced that the situation in Western Europe had improved to the point where negotiations could be initiated with Moscow. The suggestion did not resonate within the Truman administration, and Kennan's influence became increasingly marginalized—particularly after Dean Acheson was appointed Secretary of State in 1949. As U.S. Cold War strategy assumed a more aggressive and militaristic tone, Kennan bemoaned what he called a misinterpretation of his thinking. In 1950, Kennan left the Department of State, except for two brief ambassadorial stints in Moscow and Yugoslavia, and became a leading realist critic of U.S. foreign policy. He continued to be a leading thinker in international affairs as a faculty member of the Institute for Advanced Study in Princeton, New Jersey from 1956 until his death at age 101 in 2005. Kennan was born in Milwaukee, Wisconsin. He attended St. John's Military Academy in Delafield] and arrived at Princeton University in the fall of 1921. Unaccustomed to the "elite" East Coast atmosphere of the school, the shy and introverted Kennan found his undergraduate years difficult and lonely but he graduated in 1925. Kennan considered applying to law school after graduating, but decided it was too expensive and instead applied for the Foreign Service. He passed the examination, and a year later, he entered the Foreign Service, with early postings taking him to Switzerland, Germany, Estonia, Latvia, and Lithuania. In 1928, Kennan joined the State Department's Division of Eastern European Affairs, and in 1929 he began a program on history, politics, and the Russian language at the University of Berlin's Oriental Institute. From this point on, he would follow in the footsteps of his grandfather's younger cousin, George F. Kennan, for whom he was named, and who was a leading nineteenth-century expert on Imperial Russia and author of Siberia and the Exile System in 1891. Meanwhile, Kennan mastered a number of languages, including Russian, German, French, Polish, Czech, Portuguese, and Norwegian. When the U.S. opened diplomatic ties with the Soviet Union in 1933 following the election of Franklin D. Roosevelt, Kennan accompanied U.S. ambassador William C. Bullitt to Moscow. By the mid-1930s, Kennan was among the core of professionally-trained Russian experts on the staff of the U.S. embassy in Moscow, along with Charles E. Bohlen, and Loy W. Henderson. These officials had been influenced by the long-time head of the State Department's division of East European Affairs, Robert F. Kelley. They believed that there was little basis for cooperation with the Soviet Union, even against potential adversaries. Meanwhile, Kennan closely followed Stalin's Great Purges, which would profoundly affect his outlook on the internal dynamics of the Soviet regime for the rest of his life. At the outbreak of the World War II in 1939, Kennan was assigned to Berlin. In April 1941 he wrote: "It cannot be said that German policy is motivated by any sadistic desire to see other people suffer under German rule. On the contrary, Germans are most anxious that their subjects should be happy in their care." He was interned in Germany for six months after the United States had entered the war in December 1941. During late 1943 and 1944, he was counselor of the U.S. delegation to the European Advisory Commission, which worked to prepare Allied policy in Europe. Kennan served as deputy head of the U.S. mission in Moscow from July 1944 to April 1946. At the end of that term, Kennan sent a 5,300-word telegram from Moscow to Secretary of State James Byrnes outlining a new strategy on how to handle diplomatic relations with the Soviet Union. At the "bottom of the Kremlin's neurotic view of world affairs," Kennan argued, "is the traditional and instinctive Russian sense of insecurity." Following the Russian Revolution of 1917, this sense of insecurity became mixed with communist ideology and "Oriental secretiveness and conspiracy." a justification for [the Soviet Union's] instinctive fear of the outside world, for the dictatorship without which they did not know how to rule… for sacrifices they felt bound to demand……. Today they cannot dispense it. It is the fig leaf of their moral and intellectual respectability. The solution, Kennan suggested, was to strengthen Western institutions in order to render them invulnerable to the Soviet challenge while awaiting the eventual mellowing of the Soviet regime. This dispatch brought Kennan to the attention of Secretary of the Navy James Forrestal, a leading advocate among Truman's inner circle for a hard-line approach in relations with the Soviets, the United States' former wartime ally. Forrestal helped bring him back to Washington and then strongly influenced his decision to publish the famous "X" article. After returning to Washington, Kennan became the first head of the new State Department Policy Planning staff, a position that he held from April 1947 through December 1949. Meanwhile, in March 1947, Truman appeared before Congress and used Kennan's warnings in the "Long Telegram" as the basis of what became known as the Truman Doctrine. "I believe," he argued "that it must be the policy of the United States to support free peoples who are resisting attempted subjugation by armed minorities or by outside pressures." the main element of any United States policy toward the Soviet Union must be a long-term, patient but firm and vigilant containment of Russian expansive tendencies... Soviet pressure against the free institutions of the Western world is something that can be contained by the adroit and vigilant application of counterforce at a series of constantly shifting geographical and political points, corresponding to the shifts and maneuvers of Soviet policy, but which cannot be charmed or talked out of existence. The United States would have to undertake this containment alone and unilaterally, but if it could do so without undermining its own economic health and political stability, the Soviet party structure would undergo a period of immense strain eventually resulting in "either the breakup or the gradual mellowing of Soviet power." The publication of the "X" article soon triggered one of the more intense debates of the Cold War. Walter Lippmann, a leading U.S. journalist and commentator on international affairs, who favored proposals of disengagement in Germany, strongly criticized the "X" article. Meanwhile, word soon leaked out that "X" was indeed Kennan, who had recently become head of the State Department's new Policy Planning Department. This information effectively gave the "X" article the status of an official document expressing the Truman administration's new policy toward Moscow. However, Kennan had not intended the "X" article as a comprehensive prescription for future policy. For the rest of his life, Kennan continued to reiterate that the article did not imply an automatic commitment to resist Soviet "expansionism" wherever it occurred, with little distinction of primary and secondary interests. In addition, the article did not make clear that Kennan favored employing political and economic rather than military methods as the chief agent of containment. "My thoughts about containment" wrote Kennan, "were of course distorted by the people who understood it and pursued it exclusively as a military concept; and I think that that, as much as any other cause, led to [the] 40 years of unnecessary, fearfully expensive and disoriented process of the Cold War." all came down to one sentence in the "X" Article where I said that wherever these people, meaning the Soviet leadership, confronted us with dangerous hostility anywhere in the world, we should do everything possible to contain it and not let them expand any further. I should have explained that I didn't suspect them of any desire to launch an attack on us. This was right after the war, and it was absurd to suppose that they were going to turn around and attack the United States. I didn't think I needed to explain that, but I obviously should have done it. Kennan and his associates on the Policy Planning staff hoped to bring about a split between the Soviet Union and the world Communist movement. In time, he thought that two opposing blocs might develop in the Communist world–one dominated by the Soviet Union, the other comprising Communists who rejected Moscow's leadership. In turn, this would help make possible the peaceful withdrawal of U.S. and Soviet forces from the positions that they had been occupying since the end of the Second World War. However, the demilitarization and neutralization of Europe would never materialize; and in time, Kennan would come to lament the association of the policy he had seemingly helped inspire with the arms build-up of the Cold War. For Kennan personally, the "X" article meant sudden fame, which also affected his family. His oldest daughter Grace, for example, recalls fellow students calling her "Miss X" in college. "He went from a normal, nice father to the father who wrote the X article," recalls Grace. "It was a big shock to discover that my dad, who had been just my dad, suddenly became public property." Between April 1947 and December 1948, when George C. Marshall was Secretary of State, Kennan was more influential than he was at any other period in his career. Marshall valued his strategic vision, and had him create and head what is now called the Policy Planning Department, the State Department's internal think tank. Kennan became the first Director of Policy Planning. Marshall relied heavily on him, along with other members of his staff, to prepare policy recommendations. As an intellectual architect of the Marshall Plan, Kennan helped launch the pillar of economic and political containment of the Soviet Union. Although Kennan regarded the Soviet Union as too weak to risk war, he nevertheless considered it an enemy capable of expanding into Western Europe through subversion, given the popular support for Moscow-controlled communist parties in Western Europe, which remained demoralized by the devastation of the Second World War. To counter this potential source of Soviet influence, Kennan's solution was to direct economic aid and covert political help to Japan and Western Europe in order to revive Western governments and prop up international capitalism. By doing so, the U.S. would help to rebuild the balance of power. In addition, in June 1948, Kennan proposed covert support of leftwing parties not oriented toward Moscow and to labor unions in Western Europe in order to engineer a rift between Moscow and working class movements in Western Europe. As the U.S. was launching the Marshall Plan, Kennan and the Truman administration hoped that the Soviet Union's rejection of the Marshall aid would place strains on its relations with its Communist allies in Eastern Europe. Meanwhile, Kennan was proposing a series of efforts to exploit the schism between Moscow and Joseph Broz Tito's Yugoslavia. Kennan proposed conducting covert action in the Balkans aimed at further eroding Moscow's influence. The administration's new vigorously anti-Soviet policy also became evident when, at Kennan's suggestion, the U.S. changed its long-standing hostility to Francisco Franco's fascist regime in Spain in order to secure U.S. influence in the Mediterranean. Kennan had observed in 1947 that the Truman Doctrine implied a new view of Franco. His suggestion heralded the turn in U.S.-Spanish relations, which ended in close military cooperation after 1950. Kennan's influence rapidly declined under Secretary of State Dean Acheson, the successor of the ailing George Marshall, in 1949 and 1950. Acheson did not regard the Soviet 'threat' as chiefly political, and he saw the Berlin blockade starting in June 1948, the first Soviet test of a nuclear weapon in August 1949, the Communist revolution in China a month later, and the beginning of the Korean War in June 1950 as evidence for his view. Moreover, as secretary of state during the months when Chiang Kai-shek finally lost control of China, Acheson became the target of a growing lobby of Chiang's supporters known as the "China Lobby" and Congressional Republicans charging the Truman administration with having "lost China," forcing him to address domestic political pressure. Consequently, Truman and Acheson decided to delineate the Western sphere of influence and to create a system of alliances backed by conventional and nuclear weapons. This policy was articulated by NSC-68, a classified report issued by the United States National Security Council in April 1950, written by Paul Nitze. Kennan, along with Charles Bohlen, another State Department expert on Russia, fought over the wording of NSC-68, which emerged as the effective blueprint for waging the Cold War. Kennan rejected the idea that Stalin had a grand design for world conquest implicit in Nitze's report, and argued that he actually feared overextending Russian power. Kennan even argued that NSC-68 should not have been drafted at all, as it would make U.S. policies too rigid, simplistic, and militaristic. Determined to shut up critics at home, Acheson overruled Kennan and Bohlen, backing up the view of the Soviet menace that underpinned NSC-68. Meanwhile, Kennan opposed the building of the hydrogen bomb, and the rearmament of Germany, which were all policies backed up by the assumptions of NSC-68. Moreover, during the Korean War (which began when North Korea invaded South Korea in June 1950), when rumors started circulating in the State Department that plans were being made to advance beyond the 38th parallel into North Korea, a move that Kennan considered highly dangerous, he engaged in intense arguments with Assistant Secretary of State for the Far East Dean Rusk, who apparently supported Acheson's goal to forcibly unite the Koreas. Kennan lost influence with Acheson, who in any case relied much less on his staff than Marshall had. Kennan resigned as Director of Policy Planning in December 1949, but stayed in the department as counselor. Acheson replaced Kennan with Nitze in January 1950, who was far more comfortable with the calculus of military power. Afterwards, Kennan accepted an appointment as Visitor to the Institute for Advanced Study from fellow moderate Robert Oppenheimer, then Director of the Institute. Despite his influence, Kennan was never really comfortable in government. He always regarded himself as an outsider, and had little patience with critics. W. Averell Harriman, the U.S. ambassador in Moscow when Kennan was deputy between 1944 and 1946, remarked that Mr. Kennan was "a man who understood Russia but not the United States." On December 21, 1951, President Truman announced the nomination of George Kennan to be the next United States ambassador to the Soviet Union. His appointment easily sailed through the Senate. At the time U.S.-Soviet tensions had moved beyond the point at which diplomacy could play a significant role. In many measures to Kennan's consternation, the priorities of the administration focused more on solidifying alignments against the Soviets than negotiating differences with them. "So far as I could see, we were expecting to be able to gain our objectives… without making any concessions thought, only 'if we were really all-powerful, and could hope to get away with it'. I very much doubted that this was the case." In Moscow, Kennan found the atmosphere even more regimented than on his previous trips, with police guards following him everywhere, discouraging contact with Soviet citizens. At the time, Soviet propaganda charged the U.S. with preparing for future war, which Kennan did not wholly dismiss. "I began to ask myself whether… we had not contributed… by the over militarization of our policies and statements… to a belief in Moscow that it was war we were after." Kennan returned to Washington where he soon became embroiled in strong disagreements with Dwight D. Eisenhower's hawkish secretary of State, John Foster Dulles. Even so, he was able to work constructively with the new administration. In the summer of 1953, for example, President Eisenhower asked Kennan to chair the first of a series of top-secret teams, dubbed Operation Solarium, examining the advantages and disadvantages of continuing the Truman administration's approach of containment, and of seeking to "roll back" existing areas of Soviet influence. Upon completion of the project, the president appeared to endorse the group's recommendations. By lending his prestige to Kennan's position, the president tacitly signaled his intention to formulate the strategy of his administration within the framework of its predecessor's, despite the misgivings of some within the Republican Party. The critical difference between the Truman and Eisenhower approaches to containment, however, had to do with Eisenhower's concerns that the U.S. could not sustain high military expenditures over long periods of time. The new president thus sought to minimize costs not by acting whenever and wherever the Soviets acted (a strategy designed to avoid risk), but rather whenever and wherever the U.S. could afford to act. 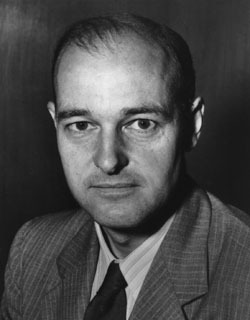 Kennan returned to government service in the Kennedy administration, serving as ambassador to Yugoslavia from 1961-1963. Another brief stint of service occurred in 1967, when he was assigned to meet Svetlana Alliluyeva, the daughter of Joseph Stalin, in Switzerland and helped persuade her to come to the United States. After the end of his brief ambassadorial post in Yugoslavia in 1963, Kennan spent the rest of his life in academia, becoming a leading realist critic of U.S. foreign policy. Having spent 18 months as a scholar at the Institute for Advanced Study between 1950 and 1952, Kennan permanently joined the faculty in 1956. During his career there, Kennan wrote 17 books and scores of articles on international relations. He won the Pulitzer Prize for history and a National Book Award for Russia Leaves the War, published in 1956. He again won a Pulitzer in 1967 for Memoirs, 1925-1950. A second volume, taking his reminiscences up to 1963, appeared in 1972. Among his other works were American Diplomacy 1900-1950, Sketches from a Life, published in 1989, and Around the Cragged Hill in 1993.
the folly of the First World War as a choice of policy; he argues that the costs of modern war, direct and indirect, predictably exceeded the benefits of removing the Hohenzollerns. the ineffectiveness of summit diplomacy, with the Conference of Versailles as a type-case. National leaders have, and had, too much to do to give any single matter the constant and flexible attention which diplomatic problems require. The Allied intervention in Russia of 1918-1919. He was indignant with Soviet accounts of a vast capitalist conspiracy against the world's first worker's state, some of which do not even mention the World War; he was equally indignant with the decision to intervene, as costly, harmful, and counterproductive. He argues that the interventions may in fact, by arousing Russian nationalism, have ensured the survival of the Bolshevik state. Kennan's historical writings, and his memoirs, lament in great detail the failings of democratic foreign policymakers and those of the United States in particular. According to Kennan, when American policymakers suddenly confronted the Cold War, they had inherited little more than rationale and rhetoric "utopian in expectations, legalistic in concept, moralistic in [the] demand it seemed to place on others, and self-righteous in the degree of high-mindedness and rectitude… to ourselves." The source of the problem, according to Kennan, is the force of public opinion, a force that is inevitably unstable, unserious, subjective, emotional, and simplistic. As a result, Kennan has insisted that the U.S. public can only be united behind a foreign policy goal on the "primitive level of slogans and jingoistic ideological inspiration." Containment, to George Kennan in 1967, when he published the first volume of his memoirs, involved something other than the use of military "counterforce." He was never pleased that the policy he influenced was associated with the arms build-up of the Cold War. In his memoirs, Kennan argued that containment did not demand a militarized U.S. foreign policy. Instead, "counterforce" implied the political and economic defense of Western Europe against the disruptive effect of the war on European society. Exhausted by war, the Soviet Union was no serious military threat to the United States or its allies at the beginning of the Cold War, Kennan argued, but rather a strong ideological and political rival. In the 1960s, Kennan criticized U.S. involvement in Indochina, arguing that the United States had little vital interest in the region. In Kennan's view, the Soviet Union, Britain, Germany, Japan, and North America remained the arenas of vital U.S. interests. In the 1970s and 1980s, he emerged as a leading critic of the renewed arms race as détente was breaking down. In 1989, Pres. George H. W. Bush awarded him the Medal of Freedom, the nation's highest civilian honor. Yet, he remained a realist critic of recent U.S. presidents, urging, in particular, the U.S. government to "withdraw from its public advocacy of democracy and human rights." "This whole tendency to see ourselves as the center of political enlightenment and as teachers to a great part of the rest of the world strikes me as unthought-through, vainglorious and undesirable," he said in an interview with the New York Review of Books in 1999. "I would like to see our government gradually withdraw from its public advocacy of democracy and human rights. I submit that governments should deal with other governments as such, and should avoid unnecessary involvement, particularly personal involvement, with their leaders." These ideas were particularly applicable, he said, to U.S. relations with China and Russia. Kennan opposed the Clinton administration's war in Kosovo as well as its expansion of NATO (the establishment of which he had also opposed half a century earlier), expressing largely unrealized fears that both policies would worsen relations with Russia. He described NATO enlargement as a "strategic blunder of potentially epic proportions." Anyone who has ever studied the history of American diplomacy, especially military diplomacy, knows that you might start in a war with certain things on your mind as a purpose of what you are doing, but in the end, you found yourself fighting for entirely different things that you had never thought of before... In other words, war has a momentum of its own and it carries you away from all thoughtful intentions when you get into it. Today, if we went into Iraq, like the president would like us to do, you know where you begin. You never know where you are going to end. In February 2004, scholars, diplomats, and Princeton alumni gathered at the university's campus to celebrate George Kennan's 100th birthday. Secretary of State Colin Powell led off the events. Powell extolled Kennan's prediction of the demise of the Soviet Union, made at the peak of its power, calling his prediction "no lucky guess, but a manifestation of genuine wisdom." Kennan met privately with Powell after the celebration. John Lewis Gaddis, along with Michael Hogan and Melvyn Leffler, has helped establish a positive image of Kennan's vision of containment, a strategy he calls "strongpoint containment." In this view, Kennan called on the U.S. to use economic aid and covert action to shore up the balance of power in the strategically important industrialized nations of Western Europe and Japan. By doing so, the U.S. could create a balance of power that would contain Soviet influence and leave it to decline in isolation from the rest of the world. Gaddis has distinguished Kennan's approach from the less workable policy of "global containment," which Truman, Acheson, Eisenhower, and Dulles later adopted. Global containment, in contrast to strongpoint containment, drew the U.S. into unnecessary Third World conflicts and into an arms race with the Soviet Union. Cold War revisionist scholars, particularly Walter L. Hixson, disagree with this positive image. They argue that Kennan was an anticommunist whose work between 1946 and 1948 contributed to U.S. hegemony rather than a balance of power. Irrespective of Kennan's attempts to clarify the "Mr. X" piece after its publication, his definition of strongpoint containment is seen to have been so broad in the key, early years of the Cold War that it resulted in global containment. Anders Stephanson joins Hixson among Kennan's critics, arguing that, regardless of his plans for "disengagement" in later years, Kennan's advice during the period 1945–1948 made a neutral, disarmed Germany impossible, thereby helping to lay the foundation for a Europe divided between the two blocs. ↑ 1.0 1.1 Jennifer Epstein and Jocelyn Greer, "Known worldwide, at home in Princeton" in The Daily Princetonian, March 21, 2005. Retrieved October 22, 2008. ↑ John Lewis Gaddis, Russia, the Soviet Union, and the United States: An Interpretive History (New York: McGraw-Hill Humanities, 1990), 117-143. ↑ "Shattered Peace," New York Times, June 12, 1977. ↑ George Kennan, "The Long Telegram", February 22, 1946. Retrieved October 22, 2008. ↑ 5.0 5.1 Walter LaFeber, America, Russia, and the Cold War (New York: McGraw-Hill Humanities, 2002), 69. ↑ George F. Kennan, Memoirs: 1925-1950 (Little, Brown & Co, 1967), 292-295. ↑ 7.0 7.1 7.2 George Kennan, "The Sources of Soviet Conduct" by "X" The History Guide (1947). Retrieved October 22, 2008. ↑ For Kennan's own critique of the "X" article, and an account of the circumstances surrounding its publication, see Memoirs: 1925-1950, 354-367. ↑ "Online NewsHour: David Gergen, Interview with George Kennan". PBS New Hour, April 18, 1996. Retrieved October 22, 2008. ↑ 12.0 12.1 Wilson D. Miscamble, George F. Kennan and the Making of American Foreign Policy, 1947-1950 (Princeton, NJ: Princeton University Press, 1992). ↑ See NSC 10/2, "National Security Council Directive on Office of Special Projects," June 18, 1948, in Etzold and Gaddis, eds., Containment, 125-128. ↑ John Lewis Gaddis. The Long Peace: Inquiries Into the History of the Cold War. (Oxford University Press, USA, 1989), 159-160 ; George Kennan, Memoirs: 1950-1963 (Boston: 1972), 202-203. ↑ For details on an operation against the Communist government of Albania see Nicholas Bethell, Betrayed (New York: Times Books, 1984). ↑ James Vincent Forrestal, The Forrestal Diaries Walter Mills (ed.) (New York: Viking Press, 1951), 328. ↑ Washington Post, "Outsider Forged Cold War Strategy," March 18, 2005. ↑ Kennan, Memoirs: 1950-1963, 107-110. ↑ Kennan, Memoirs: 1950-1963, 112-134. ↑ Kennan, Memoirs: 1950-1963, 159. ↑ 25.0 25.1 25.2 Gaddis, 218-219. ↑ Matthew Hersh, George Kennan, 101, Cold War Strategist And Diplomat, Dies in Town Topics, March 23, 2005. Retrieved October 22, 2008. ↑ George Kennan. Memoirs, 1950-1963 (1972), 70-71. ↑ George Urban, "From Containment to Self-Containment: A conversation with George Kennan," Encounter (September 1976): 17. ↑ Kennan television interview, MacNeil-Lehrer News Hour, December 21, 1988, PBS.org. ↑ Strobe Talbott, The Russia Hand (New York: Random House, 2002), 220. ↑ Albert Eisele, "George Kennan Speaks Out About Iraq" in George Mason University's History News Network, September 26, 2002. Retrieved October 22, 2008. ↑ John Lewis Gaddis, Strategies of Containment: A Critical Appraisal of Postwar American National Security Policy (Oxford University Press, 1982). ↑ Walter L. Hixson, George F. Kennan: Cold War Iconoclast (New York: Columbia University Press, 1989). ↑ Anders Stephanson, Kennan and the Art of Foreign Policy (1989). Bethell, Nicholas. Betrayed. New York: Times Books, 1984. Forrestal, James Vincent. The Forrestal Diaries, Walter Mills, ed. New York: Viking Press, (Original 1951) 1966. Gaddis, John Lewis. The Long Peace: Inquiries Into the History of the Cold War. Oxford University Press, USA, 1989. ISBN 0195043359. Gaddis, John Lewis. Strategies of Containment: A Critical Appraisal of Postwar American National Security Policy. Oxford University Press, 1982. ASIN: B000JVC878. Hixson, Walter L. George F. Kennan: Cold War Iconoclast. New York: Columbia University Press, 1989. Kennan, George F. Memoirs: 1925-1950. Little, Brown & Co, 1967. Kennan, George F. Memoirs: 1950-1963. Boston: (original 1972) Pantheon, 1983. ISBN 0394716264. Lukacs, John. (editor with the introduction) George F. Kennan and the Origins of Containment, 1944-1946: the Kennan-Lukacs Correspondence. Columbia, MO: University of Missouri Press, 1997. Miscamble, Wilson D. George F. Kennan and the Making of American Foreign Policy, 1947-1950. Princeton, NJ: Princeton University Press, 1992. ISBN 0691024839. Miscamble, Wilson D., "George Kennan: A Life in the Foreign service," Foreign Service Journal 81 (2) (February 2004) Retrieved September 11, 2014. Talbott, Strobe. The Russia Hand: A Memoir of Presidential Diplomacy. New York: Random House, 2002. ISBN 0812968468. "X," "The Sources of Soviet conduct," Foreign Affairs XXV (July, 1947) online  Retrieved October 22, 2008. "George F. Kennan, 1904 -2005" Traces.org biography Traces.org. History of "George F. Kennan"
This page was last modified on 14 June 2017, at 21:03.